Dimensions 10 1/4" x 7" x 8"
Hot dog! The birds will love this charming food truck that will welcome them home with bright colors. 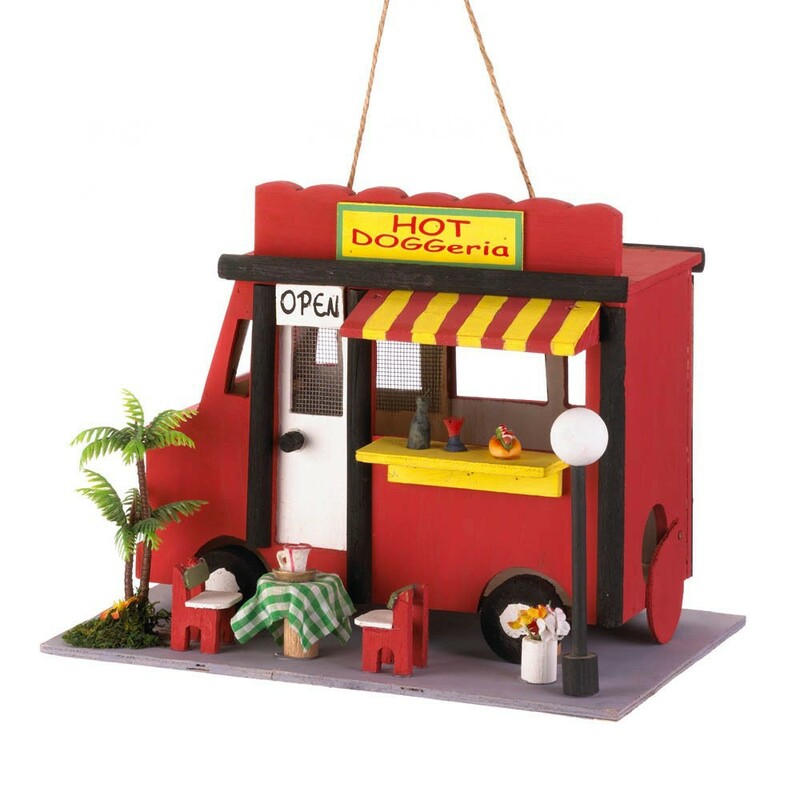 You'll love looking out on the delightful accents of this hot dog food truck as it hangs from your favorite backyard tree.